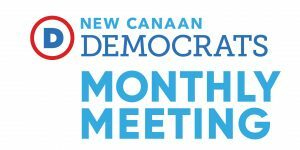 The Democratic Town Committee of New Canaan meets on a monthly basis in the Board Room at Town Hall. All local Democrats are welcome. Check our events page for details and updates about all of our meetings and events.